Showing results for tags 'horde'. Hey wRobot Community, all in one Quester File, with all 3 Starting Zones, active Support, very Big Routes to avoid possible Bot-Trains and alot of good Ratings. The demo contains all starting Zones up to level 9. Just start a fresh bot with it. It will detect the race of the bot and start acordingly. Efficient. Very good ratings. 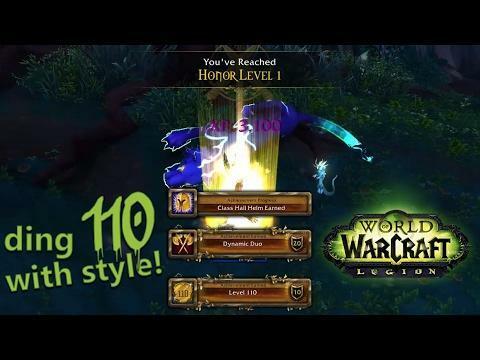 The way to go for Vanilla/TBC leveling... Level 1 to 60 support for Vanilla! Automated Updates! The Profile updates itself on every start. Fresh Routes! Not many bots have seen them yet 🙂 Automated Buying of low level weapons & armor Buyer-Exclusive Discord for help and fast updates All 3 Starting Zones included (just start the profile) All in one Quester Profile - Easy to handle! Alot of area switching to not stay in the same area too long Very Big Routes to avoid Bot Trains as much as possible Your Bot will make sure to get important Flightpaths! Already implemented: Druid: Bear Form Quest Warrior: Defensive Stance Quest Hunter: Pet Quest (Tauren/Orc/Troll) Coming with next patch: Rogue: Poison Quest [Paid]This Plugin offers so many features that I will not list them here. Must have. Human Master Plugin by Matenia [Paid] A solid Fightclass that is able to handle 2 mobs or more. e.g. Ordush's BM Hunter for Vanilla [FREE] Use HSToTown Plugin in the first 40 levels. HS On Town by Ordush [FREE] Using the Plugin "WhatsGoingOn"! My profile is documented. WhatsGoingOn Plugin by Matenia [FREE] Use my Discord for Bug Reports, I will fix them as soon as possible. (Link in the Purchase E-Mail) Buy the Profile & Wait for the Email! Download the Profile from the Email. Note down the ORDER ID! (At the top of the Purchase E-Mail) Start the Profile with your Bot (As a Quester File!!!) Enter the Order ID in the popup window and press enter to authenticate your product. Close the popup window with the Order ID before the error appears. 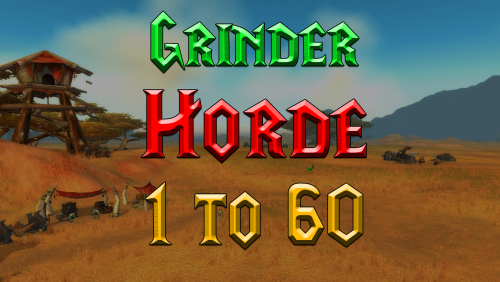 [Vanilla] Horde 1 to 60 Grinder - 9,99€ Disclaimer: I am not associated with the wRobot company in any way! Hey wRobot Community, all in one file, all 3 starting zones, active Support, class quests, active development. The demo contains all starting Zones up to level 8. Just start a fresh bot with it. It will detect the race of the bot and start acordingly. 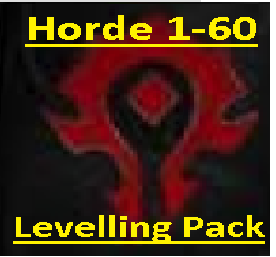 Horde leveling at it's best. I hope you enjoy this piece of work. Level 1 to 50 support for Vanilla/TBC Many quests and quest chains done to get good XP Rates! Future Updates will include more levels for free! Automated Updates! The Profile updates itself on every start. Automated Buying of low level weapons & armor Buyer-Exclusive Discord for help and fast updates All 3 Starting Zones included (just start the profile) All in one Quester Profile - Easy to handle! Improved loading time! Very Big Routes to avoid Bot Trains as much as possible Your Bot will make sure to get important Flightpaths! Already implemented: Druid: Bear Form Quest Warrior: Defensive Stance Quest Hunter: Pet Quest (Tauren/Orc/Troll) Warlock: Pet Quests [Paid]This Plugin offers so many features that I will not list them here. Must have. Human Master Plugin by Matenia [Paid] A solid Fightclass that is able to handle 2 mobs or more. e.g. Ordush's BM Hunter for Vanilla [FREE] Using the Plugin "WhatsGoingOn"! My profile is documented. WhatsGoingOn Plugin by Matenia [FREE] Use my Discord for Bug Reports, I will fix them as soon as possible. (Link in the Purchase E-Mail) [FREE] Using the free Accept Group Invite Plugin so you can team up with others. Accept Group Invite by Droidz [GOLD] You have to spend some gold on gear for warrior / rogue classes! Buy the Profile & Wait for the Email! Download the Profile from the Email. Note down the ORDER ID! (At the top of the Purchase E-Mail) Start the Profile with your Bot (As a Quester File!!!) Enter the Order ID in the popup window and press enter to authenticate your product. Close the popup window with the Order ID before the error appears. 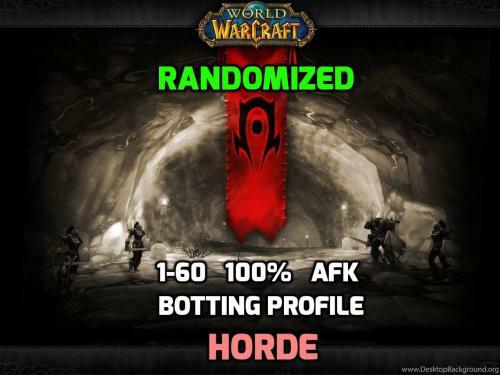 [Vanilla] Horde 1 to 50 Quester - 19,99€ Disclaimer: I am not associated with the wRobot company in any way! BloodElf Bot 1-110 profile is for a Horde BloodElf 1-110. Made with World of Warcraft Version 7.3.2.25480. The route I have created is optimized for speed, and prioritized to stay away from the more popular areas of the game (to avoid other players). This is only my Demo (Levels 1-12), I will be releasing the full released version in approximately 2-4 weeks. I recommend running with heirlooms for faster level times Quick-Quest is recommended, as it does cut down the time by about 30 minutes (For the full 1-110 leveling bot). https://www.curseforge.com/wow/addons/quickquest Route 1-60 1-5 - Sunstrider Isle 5-12 - Eversong Woods 12-20 - Ghostlands 20-26 - Hillsbrad Foothills 26-30 - Arathi Highlands 30-34 - The Hinterlands 34-39 - Western Plaguelands 39-44 - Eastern Plaguelands 44-47 -Badlands 47-49 - Searing Gorge 49-53 - Burning Steeps 53-56 - Swamp of Sorrows 56-60 - Blasted Lands 60-70 60-62 - Hellfire Peninsula 62-64 - Zangarmarsh 64-66 - Terokkar Forest 66-68 - Blade's Edge Mountains 68-70 - Netherstorm 70-80 70-72 - Borean Tundra 72-75 - Dragonblight 75-77 - Zul'Drak 77-80 - Icecrown 80-85 80-82 - Mount Hyjal 82-84 - Deepholm 84-85 - Twillight Highlands 85-90 85-87 - Jade Forest 87-90 - Valley of The Four Winds 90-100 90-93 - Tanaan Jungle/Frostfire Ridge 93-96 - Gorgrond 96-100 - Talador 100-110 100-103 - Azsuna 103-106 - Val'Sharah 106-110 - Highmountain Benefits I am charging $30 dollars for my fully released bot, which will include Every race for horde leveling from 1-110. I will only be releasing BloodElf and Undead on the first week. Second week I will be releasing the rest. 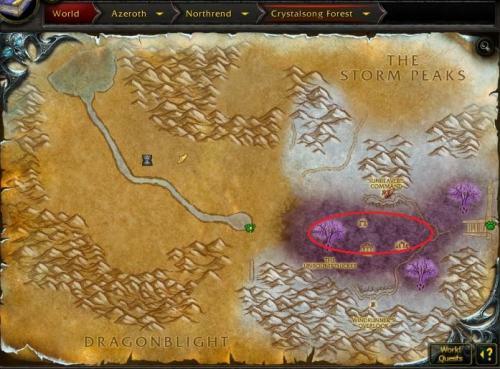 You will receive the loremaster achievement for every zone listed up there except for Talador and Valley of the four winds. If you do choose to download the Demo, please give me as much feedback as possible, the Demo isn't much... I know... so ill be releasing a 1-30 demo next week. Update: I am stopping production on this profile until the release of patch 7.3.5 Reasons: In patch 7.3.5, blizzard has announced the new leveling scale. Zones will now be scaled to your item lvl. Starting zones are now 1-10 vanilla zones are 10-60 BC & WotLK are 60-80 Cata & Panda are 80-90 Everything else is the same, the reason I am waiting until 7.3.5 is because I can cut down run times about 3-4 hours. I can choose to stay WotLk for leves 60-80, and I can stay in Pandaria from 80-90. Thus cutting down runtimes by 3-4 hours. I hope you all understand why I am waiting. Even if i dont wait with the new leveling scale, the quest routes might mess up the bot. If patch 7.3.5 releases on November 28th, 2017 like everyone has speculated, I plan on releasing the bot on December 20th. Sorry for the big push date. Tauren starting zone – completes the following quests: A Sacred Burial – 833 Call of Fire – 1523 (Shaman) Danger of the Windfury – 743 Dwarven Digging – 746 Heeding the Call – 5926 (Druid) Journey into Thunder Bluff – 775 Journey to the Crossroads – 854 Mazzranache – 766 Poison Water – 748 Preparation for Ceremony – 744 Rite of Vision – 767 Rite of Vision – 771 Rite of Vision – 772 Rite of Wisdom – 773 Rites of the Earthmother – 776 Sergra Darkthorn – 860 Sharing the Land – 745 Supervisor Fizsprocket – 765 Swoop Hunting – 761 The Barren Oases – 886 The Demon Scarred Cloak – 770 (Rare mob) The Hunter's Way – 861 The Ravaged Caravan – 749 The Ravaged Caravan – 751 The Venture Co. – 764 Thunderhorn Cleansing – 758 Thunderhorn Totem – 756 Wildmane Cleansing – 760 Wildmane Totem – 759 Winterhoof Cleansing – 754 Druid & Shaman class quests are included; if there is enough interest, I will provide the other two (2) Tauren class quests. 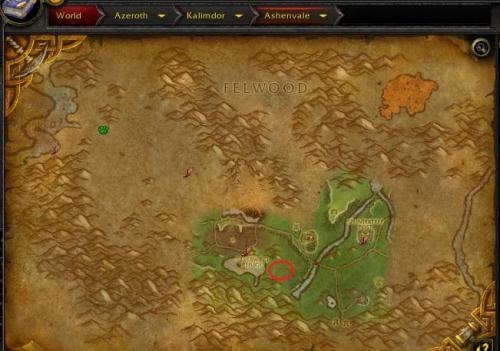 To the best of my knowledge, this profile includes all of the quests centered around Bloodhoof Village & Thunderbluff – if I have missed any quests, please provide a quest ID and I will include the missing quest(s). If any quests fail or show errors, please report the quest name, ID and the issue that you witnessed so that I may troubleshoot and repair. Profile order: Red Cloud Mesa – Mulgore Bloodhoof Village & Thunder Bluff – Mulgore Sen'jin Village, Razor Hill & Orgrimmar – Durotar The Crossroads – The Barrens Ratchet – The Barrens Camp Taurajo – The Barrens Camp Taurajo – completes the following quests: A New Ore Sample – 1153 Betrayal from Within – 879 Betrayal from Within – 906 Blood Shards of Agamaggan – 5052 Cry of the Thunderhawk – 913 Enraged Thunder Lizards – 907 Gann's Reclamation – 843 Isha Awak – 873 Ishamuhale – 882 Lakota'mani – 883 Mahren Skyseer – 874 Melor Sends Word – 1130 Message to Freewind Post – 4542 Owatanka – 884 Revenge of Gann – 846 Revenge of Gann – 849 Steelsnap – 1131 The Ashenvale Hunt – 6382 Tribes at War – 878 Washte Pawne – 885 Weapons of Choice – 893 To the best of my knowledge, this profile includes all of the quests centered around Camp Taurajo – if I have missed any quests, please provide a quest ID and I will include the missing quest(s). If any quests fail or show errors, please report the quest name, ID and the issue that you witnessed so that I may troubleshoot and repair. NOTE: The two (2) final quests in this profile,  A New Ore Sample &  Steelsnap, are based in Thousand Needles and involve higher level mobs than those found in the Southern Barrens; I recommend being level 28+ prior to pulsing, or simply babysitting the bot as these quests are underway – steps 69-72 can be disabled if your character has trouble completing these quests. Durotar starting zone – completes the below quests: I run this profile on Tauren characters once I have completed all Mulgore quest lines – see my Mulgore profiles here and here After completing these three (3) profiles, my characters are typically level ~15 prior to beginning The Crossroads quest lines A Peon's Burden – 2161 A Solvent Spirit – 818 Ak'Zeloth – 809 Break a Few Eggs – 815 Carry Your Weight – 791 Conscript of the Horde – 840 Crossroads Conscription – 842 Dark Storms – 806 Encroachment – 837 Finding the Antidote – 813 From the Wreckage... – 825 Hidden Enemies – 5726 Hidden Enemies – 5727 Hidden Enemies – 5729 Lost But Not Forgotten – 816 Margoz – 828 Minshina's Skull – 808 Need for a Cure – 812 Neeru Fireblade – 829 Practical Prey – 817 Report to Orgnil – 823 Securing the Lines – 835 Skull Rock – 827 The Admiral's Orders – 830 The Admiral's Orders – 831 Thwarting Kolkar Aggression – 786 Vanquish the Betrayers – 784 Winds in the Desert – 834 Zalazane – 826 To the best of my knowledge, this profile includes all of the quests centered around Sen'jin Village, Razor Hill & Orgrimmar – if I have missed any quests, please provide a quest ID and I will include the missing quest(s). If any quests fail or show errors, please report the quest name, ID and the issue that you witnessed so that I may troubleshoot and repair. Ratchet – completes the following quests: I run this profile immediately following my Crossroads profile A Captain's Vengeance – 891 Deepmoss Spider Eggs – 1069 Free From the Hold – 898 Ignition – 858 Miner's Fortune – 896 Nugget Slugs – 3922 Raptor Horns – 865 Rilli Greasygob – 3923 Samophlange – 894 Samophlange – 900 Samophlange – 901 Samophlange – 902 Samophlange Manul – 3924 Southsea Freebooters – 887 Stolen Booty – 888 The Escape – 863 The Missing Shipment – 890 The Missing Shipment – 892 WANTED: Baron Longshore – 895 Wenikee Boltbucket – 3921 Ziz Fizziks – 1483 To the best of my knowledge, this profile includes all of the quests centered around Ratchet – if I have missed any quests, please provide a quest ID and I will include the missing quest(s). If any quests fail or show errors, please report the quest name, ID and the issue that you witnessed so that I may troubleshoot and repair. Tauren starting zone – completes the following quests: A Humble Task – 752 A Humble Task – 753 A Task Unfinished – 1656 Attack on Camp Narache – 781 Break Sharptusk! – 3376 Call of Earth – 1519 (Shaman) Call of Earth – 1520 (Shaman) Call of Earth – 1521 (Shaman) Rite of Strength – 757 Rites of the Earthmother – 755 Rites of the Earthmother – 763 Rune-Inscribed Note – 3093 (Shaman) The Battleboars – 780 The Hunt Begins – 747 The Hunt Continues – 750 Verdant Note – 3094 (Druid) Druid & Shaman class quests are included; if there is enough interest, I will provide the other two (2) Tauren class quests. To the best of my knowledge, this profile includes all of the quests centered around Red Cloud Mesa – if I have missed any quests, please provide a quest ID and I will include the missing quest(s). If any quests fail or show errors, please report the quest name, ID and the issue that you witnessed so that I may troubleshoot and repair. This is a profile for Blood Elves on the WotLK 3.3.5a version. What it does: Quests all but one quest before leaving the starter island. Gets you to at least level 5 1-click Sells trash when enabled Repairs when enabled What it doesn't do: Doesn't train new skills. Doesn't do the class quest. Skips the item-generated quest due to a bug on the server (Tainted Arcane Sliver). Doesn't equip the new bag from quest. Doesn't always choose correct quest rewards for char type. Look out for: It may or may not get hung on Felendren the Banished. I couldn't figure out how to stop targeting the same mob when that part of the quest objective was complete. Worst case it will continue to pull mobs before it gets to the top. Full bags will stop you on item gathering quests. Slow spawns The quest order isn't optimized. You can rearrange them in the editor. 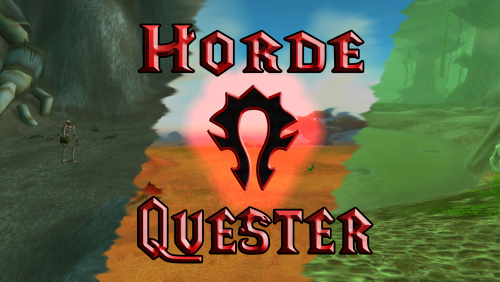 Hey guys, I've been working on Horde Quester profiles for a few months. I'm pretty bored at the moment and my sub has ended, so I figured I'd release it. These have been tested with and optimized for Blood Elf paladins because they're the easiest to bot. I leveled a lot of characters with these profiles, slowly fixing things. But they're still very messy. These are not intended for someone with minimal WRobot knowledge. I got really lazy at some points and ignored fixing things. Also, these were fully optimised with the intention that only I would use them. I know the these profiles front and back. Feel free to edit anything necessary to suit your needs. I'll be adding more info here over time. I recommend the QuickQuest addon and auto equip/auto quest reward plugins. Note: It's much more afk friendly if you do not use a flying mount. If you do, bot gets stuck a lot more. Profiles: '[SB360] Durotar Quester 1-5' -- This is 1-5 for troll druids. No other classes/orcs will work. '[SB360] Durotar Quester 5-8' -- This is for all classes and trolls/orcs. Quests: 'Never Trust a Big Barb and a Smile' and 'Loss Reduction' should be buggy. Don't trust the bot for those. '[SB360] Durotar Quester 8-11' -- The bot will struggle with two quests near the end that involve swimming in water. Rest is good. '[SB360] Northern Barrens Quester 10-13' -- Should be fully afk including the vehicle quest. Might encounter some bugs midway through at the second quest hub. But the code worked for me. '[SB360] Northern Barrens Quester 13-17' -- Should be fully afk. There's a quest involving fighting mobs with a friendly npc. If the npc dies, quest is failed. Expect bugs for quests involving pirates. Keep in mind, profile will set hearthstone. Everything else should be good. '[SB360] Northern Barrens Quester 17-20' -- Should be fully afk including vehicle quests. '[SB360] Ashenvale Quester 20-23' -- Fully afk. '[SB360] Ashenvale Quester 23-26' -- Fully afk including vehicle quest. Beginning has bad quests underwater. Bot will drown without an anti-drown plugin. Also, theres a moving questgiver npc. Bot acts botty until I fix it. '[SB360] Northern Stranglethorn Quester' -- Fully afk. Skips the last few quests of the zone but still gets the achievement. Note: Might have the boat from Ratchet to Booty Bay, but it shouldn't work. Move character yourself. '[SB360] The Cape of Stranglethorn Quester 31-36' -- Fully afk. Boat from Booty Bay to Ratchet should work. '[SB360] Southern Barrens 31-34' -- Only one quest should be buggy. The rest were worked on a lot. '[SB360] Dustwallow Marsh Quester2' -- Fully afk. Although bot struggles in first few quests to turn in if you use QuickQuest. '[SB360] Horde Feralas Quester' -- Fully afk. This was my first profile I made so I hope its good. '[SB360] Tanaris Quester' -- The vehicle quest is not scripted. Rest are good. '[SB360] Felwood Quester2' -- Theres some bugs but half of my bots made it through 100% afk. '[SB360] Winterspring Quester2' -- Fully afk. Bot may get stuck at one quest. Rest is good. '[SB360] Silithus Quester' -- Fully afk. 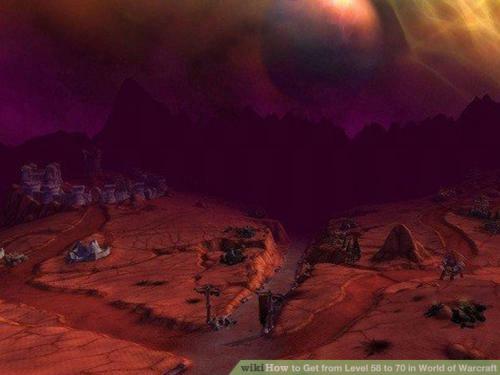 '[SB360] Blasted Lands Quester' -- Not complete. Should get halfway through zone then stop. '[SB360] Hellfire Peninsula Quester 60-62' -- Fully afk. If the bot dies a lot, it won't work good. Sometimes it won't resurrect. Although the code for it is in the profile about to be finished. '[SB360] Zangarmarsh Quester 62-64' -- Fully afk. '[SB360] Nagrand Quester 64-66' -- It's all coded to work, but needs polishing. Couple quests are bugged. '[SB360] Blades Edge Mountains Quester 66-67' -- Fully coded but bot is limited on some quests. Expect to help. '[SB360] Shadowmoon Valley Quester 67-70' -- Fully coded but its a mess. I'm still working on it. Do not afk. '[SB360] Borean Tundra Quester 70-72' -- This one is my pride and joy. Should be fully afk. All characters have completed the zone quest achievement. '[SB360] Dragonblight Quester 72-74' -- All coded but the bot will need assistance. Only use if you know how to figure out errors with the profile. '[SB360] Grizzly Hills Quester 74-75' -- Fully coded but same as Dragonblight, I need more testing. Don't afk. '[SB360] Zul'Drak Quester 65-77' -- This isn't even complete and shouldn't even work. '[SB360] Stonetalon Mountains Quester 26-31' -- This works but has bugs. Specifically the vehicle quests. And the elevator isn't coded. I replaced this one with Stranglethorn Vale quests. '[SB360] Eversong Woods Quester 1-5' -- Only optimized for paladins. One of the final quests is coded wrong. Although I think I removed it. Might be full afk. '[SB360] Eversong Woods Quester 5-12' Again, optimized for paladin. Full afk. '[SB360] Ghostlands Quester 12-20' -- Optimized for paladin. Probably 99% afk. Will teleport to Undercity, then take Zeppelin to Durotar. Enjoy! Good for leveling. Has a decent amount of skinning and some herbalism as well. I leveled my warrior from 19 to 27 in one night on this profile. 0 deaths. Just set it and forget it. This is a nice spot I used to level two warriors from 75-80. I had heirloom gear for both though so if your toon isn't very strong you should wait until you're 78. It has good exp for leveling and there are both Horde and Alliance FPs & vendors very close. The location is pretty secluded though so I never saw any other players there. There are a couple things you can skin and tree mobs you can harvest for herbs. This is a very basic (quest) grinding profile I use to mindlessly lvl horde bots in outland. its 100% grind so heirlooms will help here, however not required. Its written as a quest profile so load it as such. 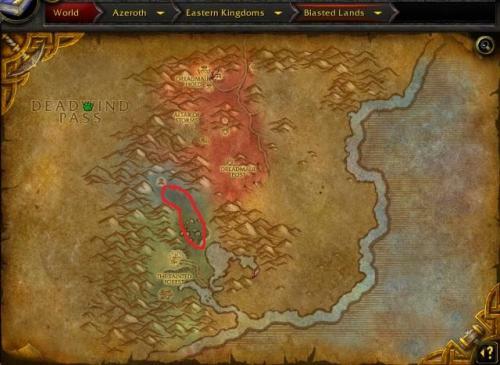 58-60 Hellfire Peninsular: Legion front 60-63 Hellfire Peninsular: Zeth Gor 63-65: Terrokar Forrest: GranGol'Var village 65-70: Nagrand: big loop everywhere Exp is 100-150K / hour depending on gear. i havn't observed any issues with pathing between locations. QA is done, however the start of this one is a bit... shakey CLEAR YOUR QUEST LOG BEFORE STARTING You can start on the inside of the HFP portal and let the profile go, however I would recommend starting once you take the flight to Thrallmar. You want to keep an eye on the profile till 60 and the bot has reached Falcon Watch- smooth sailing after that. massive profile tho- let me now if you see any bugs. Hey, I just bought the Bot and I'm really confused. How do i actually Level my Warrior (Lvl 40) with the Bot? I really cannot find any working Profile that are up to date. can anyone help me? Good for leveling and skinning. Kills bears, bats, and demons. 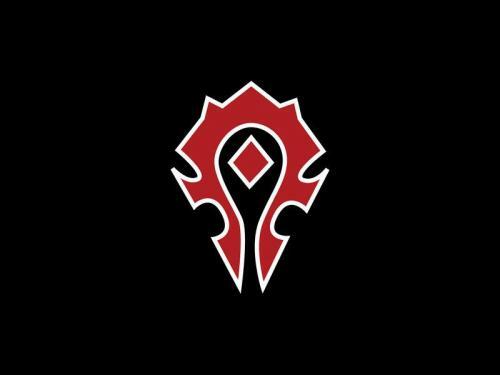 Could be for horde or alliance as it isn't too close to either city.